Do anda like Aoi with berwarna merah muda, merah muda hair? 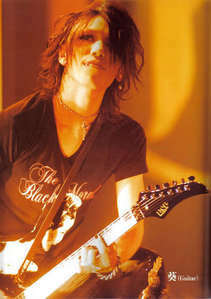 Is Aoi your favorit in The Gazette? Which hairstyle do anda like best on Aoi? The pic topic is The Gazette. Hope anda can participate! a comment was made to the poll: Which hairstyle do anda like best on Aoi? a comment was made to the poll: Is Aoi your favorit in The Gazette? a poll telah ditambahkan: Which hairstyle do anda like best on Aoi?